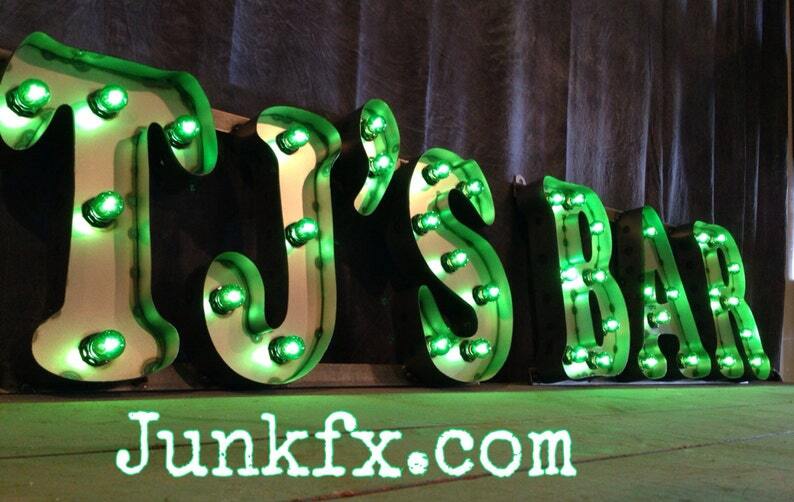 Here's a recycled vintage style sign for your bar It's 12 inches tall and 6 feet wide. It has 2 hangers on each sign to hang it with and is welded in a one pice sign. This sign is made with 20 ga. tin and has a 2 inch edge welded around the letters.